There’s an old song about “doing the Time Warp.” But with the help of Chicago’s criminal-friendly court system, 46-year-old Taras Tannassov seems to actually be bending the rules of time. Last week, Tannassov was arrested for shoplifting, went to jail, got released, got arrested for shoplifting again, pleaded guilty, and served a two-day sentence…all in about 38 hours. Tannassov’s time-bending transgressions began at 7:33 p.m. on December 12 when a security guard allegedly saw him steal a coat and a necklace from Macy’s at 111 North State. He was arrested, charged with retail theft, and then released on a recognizance bond at 8:20 a.m. on December 13. At 11:44 p.m. that night, Tannassov was arrested again for allegedly stealing a backpack Target, 1 South State. He was locked up in the police station and taken to court at 9 a.m. There, he pleaded guilty to the Target theft and received a two-day sentence from Judge Anthony Calabrese. Calabrese also gave Tannassov two-days credit for “time served” and set him free. That’s two-days credit for spending slightly more than nine hours in custody. Quite a deal. Knife To See You Again! He’s only 20, but Derrick Robie is making his fourth appearance on CWBChicago today. 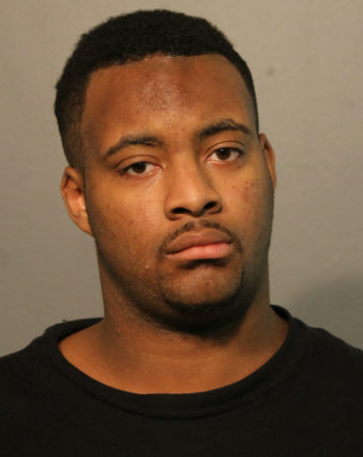 A man told officers that Robie offered to sell him pot and cocaine along Boystown’s bar strip early on December 5. Cops caught up with Robie in the 700 block of West Aldine a few minutes later. Asked if he had any weapons, Robie told the officers, “no,” according to police records. But protective pat-down by police found a 4-1/2” folding knife in Robie’s pants pocket, the officers said. That’s about two inches longer than the law allows. Robie was charged with possessing a deadly weapon and released on a $120 recognizance bond. • A 22-year-old Florida man refused to pursue robbery charges against Robie after the alleged victim told police that Robie held a knife to his stomach and demanded his iPhone in the 3200 block of North Halsted on June 9. The victim claimed that Robie shoved him into a wall and pressed a knife to his stomach saying, “Gimme the phone, you know what this is,” police said. Robie was charged with possessing a deadly weapon. • On June 18, Robie was arrested again in Boystown. 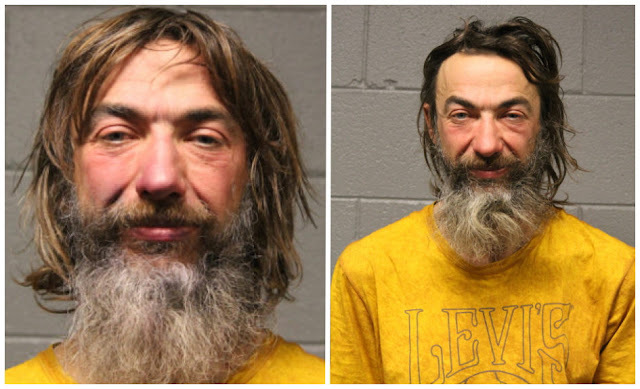 Police said Robie was in the 800 block of West Roscoe around 4:40 a.m. when he knocked a 60-year-old beggar’s change cup from the man’s hand and fled. He was charged with theft.